You always pack way too much! Review Summary: The Traveling Light ebook shows you exactly what to include in your travel wardrobe. It is a comprehensive guide for traveling light and includes many pictures showing examples of what to take for different types of travel and different trip lengths. It also includes check lists for the number and types of items to take and many practical tips for both packing and traveling. I used to think I was pretty good at packing light, but since I've been following Imogen's recommendations I've become 100% better at packing! Imogen Lamport tells us early in her Traveling Light ebook that she's a seasoned traveller. Even if she hadn't told us you can very quickly tell that it's true from the savvy travel packing tips and general traveling tips that she covers in her ebook. You'll learn how to minimize your travel wardrobe. Plus she shares her image consulting knowledge and experience to show us how to put together a capsule wardrobe and how to choose the fabrics, colors and patterns that go together. This 79 page illustrated ebook comprehensively covers travel packing for business and for pleasure, for the full range of weather conditions. It even covers packing for men, for babies and for children. Imogen shows us how to only need carryon baggage when we travel by plane. Now that really is traveling light! And if you've ever had your baggage go astray (as I did once for an important business meeting), you can understand why this is a good plan. I've now used Imogen's travel packing tips for many of my own trips and also for helping clients. 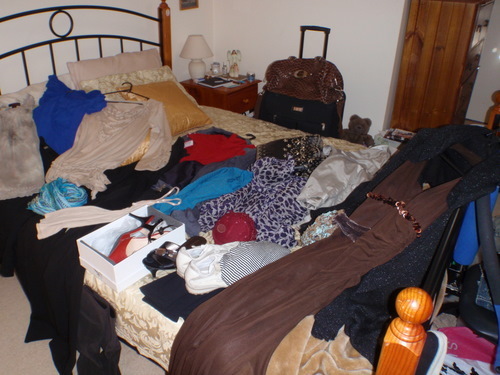 Here's a picture of the travel wardrobe I helped my friend (and fellow image consultant), Maria, come up with (it includes the clothes she wore on the plane). She was packing for 2 seminars, one in the US and one in Canada in May with an informal business meeting in LA in-between. You can't really see the exact items in the photo. However, I hope you can see that she was indeed traveling light. I tried to convince her to take 1 less pair of shoes (I don't know yet if I succeeded). She took slightly more tops than Imogen suggests, at my recommendation. On a trip of over a week I prefer to be able to go 7 days without having to do laundry. The only time I might wear a top twice without washing it is if I've worn it for an evening out and it still smells fresh and looks clean. What Maria wasn't wearing on the plane would have fitted into a medium sized carryon bag. However, she also wanted space for purchases while she was away, so she took a tote and a full-sized suitcase with wheels -- she'll certainly have plenty of space for new items! For another travel wardrobe example see my summer travel wardrobe article. Think about the activities you'll be doing while you're away and the likely weather and make sure you have items in your planned travel clothes that will work. It's always easiest when your trip is to 1 destination and the types of things you'll be doing are similar. It's more challenging if you're combining holidays such as an Asian beach holiday and a trip to Europe visiting cities and country. Layering is the key, together with being able to use items for multiple purposes -- think day to night, outdoor activity to casual, relaxing and nightwear. Be ruthless! Imogen says it. 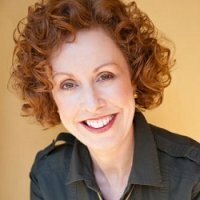 Other authors with travel packing tips advise it. And I whole heartedly agree. Whatever you do don't pack anything 'just in case'! Follow Imogen's invaluable tip for continuously improving your travel packing and keep the list in your suitcase where it's the first thing you'll see when you pack for your next trip! There are so many good reasons for learning how to minimize your travel wardrobe and travel light. 2 of the top reasons for me are: being able to carry my own suitcase (I often travel alone); and having space and travel allowance to fit in purchases while I'm away. Even if you're a seasoned traveller, I guarantee you'll pick up some invaluable tips from Imogen's ebook.